Missoula Lennox Dealers are the undisputed leaders of the HVAC manufacturing industry. Lennox is a reliable authority for contractor referrals. When you’re shopping around for local HVAC services, you’d be wise to focus your search on premier Missoula Lennox Dealers and pick a company that is known for doing excellent work. If you own a home or manage a property in Western Montana, you’re probably aware of the environmental challenges and the value of water treatment and air quality. Sooner or later you will need to invest in plumbing and HVAC systems to purify the hard water and keep interior living spaces comfortable in extreme temperatures. 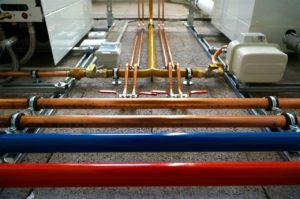 It’s a sizeable investment to install and maintain heating and cooling systems and plumbing for your property. You should never cut corners on brands and products that you choose, or the technicians that you’re trusting for installations and service. Resist the temptation to choose the cheapest option available because more often than not, you will spend more on repairs and maintenance later. The Lennox Company is an industry leader in Heating, Air Conditioning, and Ventilation (HVAC) and their line of products is top of the line. When you go with a Lennox dealer, you’re getting the promise of Lennox brand top-notch quality equipment, and you’re also getting technicians that know what they’re doing. Lennox dealers are thoroughly trained to install and service Lennox’s top of the line HVAC products and they bring an extra layer of specialized HVAC training. Lennox has been establishing relationships with HVAC companies for over 125 years of business. There are many dealers across North America that install and repair Lennox HVAC systems, and Lennox has invested time and resources to learn who is the best at their trade. The ideal scenario for hiring an HVAC company is to choose one that you’ll work with on a long-term basis. Go with a company that has awesome technicians and great customer service. Pick a company that keeps their appointments, knows what their doing, and charges a fair price for the work. Choose an company that gives good advice and can help you to lower your heating bills and use energy more efficiently. It’s always a gamble when you’re randomly picking a name from a list. The best way is to get a professional referral and hire someone that comes highly recommended. Lennox has made it easier for people to choose the best dealers in their area. They have awarded “Premier” status to dealers that consistently meet and exceed customers’ expectations. Lennox Premier Dealers are trained to design, install, service and maintain Lennox HVAC systems, and strive for complete customer satisfaction. 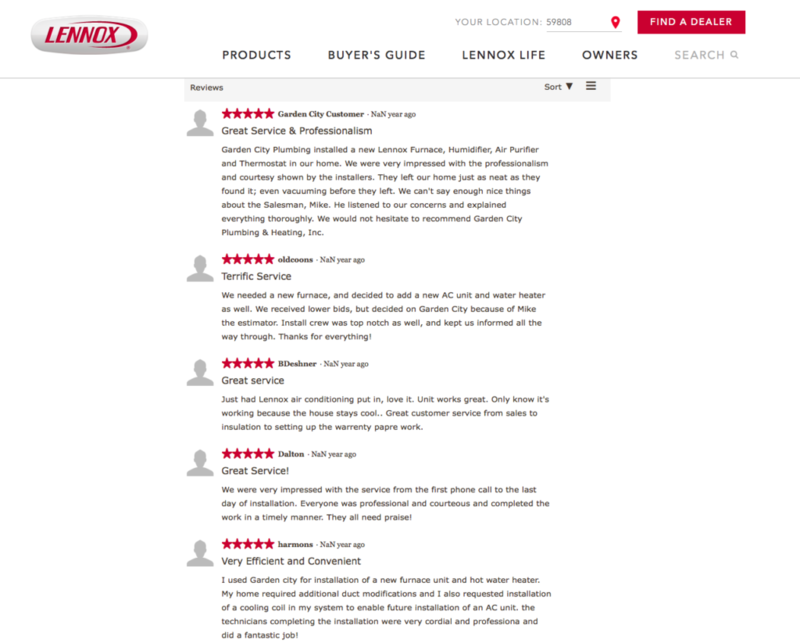 Beyond that, Lennox Premier Dealers are required to maintain a 5-star rating among consumers. These eight companies are the best possible option if you’re looking for a new HVAC company to work with for the long haul. You can visit the Lennox website to see customer referrals for each of these five-star rated HVAC companies. It takes a lot for Missoula Lennox Dealers to earn “Premier” status, so these eight companies are the best of the best when it comes to Montana HVAC companies. Where in Montana are you located? With the location-based online search tool, you can find a Lennox Dealer that services your residential and commercial properties. We’ve listed all of the current HVAC Lennox dealers in Missoula, Montana and the surrounding areas. A few of the companies on the list below are fully operational HVAC and plumbing companies. Others strictly offer HVAC services. If you’re looking for a company that carries Lennox products and also provides installation and repair services, pay attention to the service details that we’ve added in bold print for your convenience! Find the Missoula Lennox Dealers You Can Count On! Using the online tools that Lennox provides, it’s easy to find the best of the best HVAC companies in your area. With 125+ years of industry leadership experience, a Lennox recommendation goes a long way. Hiring a Lennox Premier Dealer is the best decision you can make for the value and comfort of your home or property in Montana. Get in touch with a contractor you can count on for top quality service on all residential and commercial heating and cooling projects.